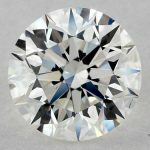 Is there any technical difference (or visual) between a G color and H color graded diamonds? 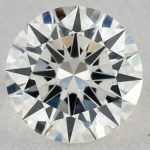 I will be buying a diamond in the next few weeks and I am comfortable with the choice of clarity that I want but I am really debating what color to go with. 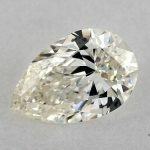 I see on several of your pages that you claim that there is no difference between G diamond color and H diamond color. 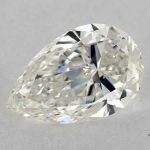 Given the price difference and the fact that these diamonds are certified by top labs like GIA how it can be that there is no difference. 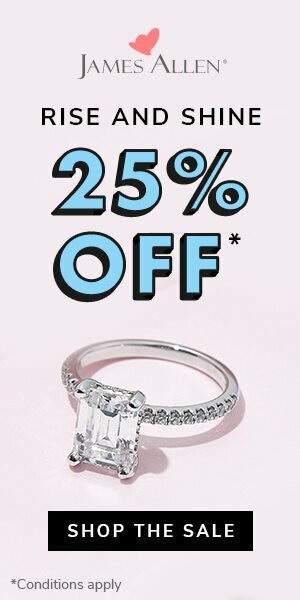 Are you saying that it’s all just marketing hype and that all diamonds are the same colors? I went into a few local retailers and looked at the diamonds myself and in many cases I was able to see the difference between colors even in one color grade. 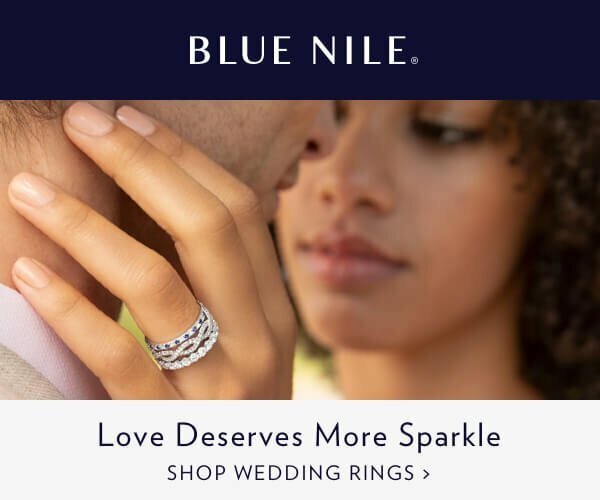 Are you sure it’s OK to go with an H color diamond over a G? I don’t want to disappoint my fiancé. 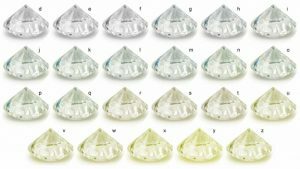 How G or H colors are assigned to a diamond? 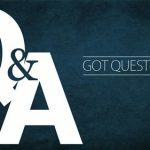 Great questions and I appreciate your writing in so I can clear this up for you. First, you have to differentiate between what a diamond certificate ways and what is actually visible to the naked eye. Yes, there is technically a difference between a G color diamond and an H color diamond. 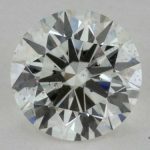 When looking at the 2 diamonds together under ideal lighting conditions and when compared to a perfect set of reference diamonds you may – (but even here mostly likely won’t) see a slight difference between a G and H color diamond. However, under normal circumstances, an untrained eye will NEVER be able to tell the difference between 1 color grade be it G to H or F to G – the difference and the amount of yellow that appears from this one step is so slight that even trained salesman will get tripped up – and again, this is under ideal circumstances. 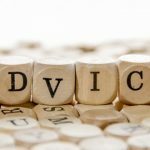 So while technically there is a difference it is one that the human eye is almost incapable of seeing – is this what you want to spend money on? In addition, as I talk about on my diamond pricing page and diamond color page, there is an artificial bump in price between G color and H color diamonds. For some reason the Rapp list has determined that the color difference between a G and H is so great that it warrants a steep price increase (all other things equal) this is of course non-sense! So as for going with a G over H color there are 2 reasons not to: 1) You will never be able to see the added color 2) you are paying an extra premium for this jump. 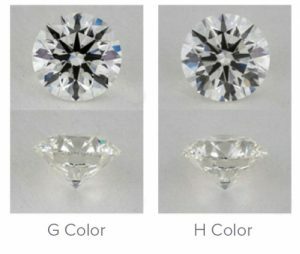 If you just do a quick Google search on a diamond clarity comparison, and go to images, you will find that a lot of image providers grouped every 3 grades in one diamond as a reference, because it’s a bit hard to tell the difference between 1 grade difference, and possibly two. Even more, go to James Allen for example, search for 2 identical diamonds in all factors (4Cs, polish, symmetry, fluorescence, etc), with just the color being different, choose one in H grade, and another in G, James Allen 360° HD feature allows you to zoom in diamonds into 20x with HD quality, can you tell which is which? As for why you were able to see the difference when you went to the local jeweler I suspect you were not looking at 2 diamonds graded by the same lab. 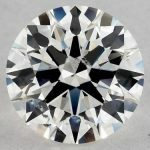 For example if you were looking at an H color EGL diamond and a G color GIA diamond you were actually looking at diamonds that were 2-3 grades apart and not 1 grade apart. To understand why please read my EGL vs. GIA post. 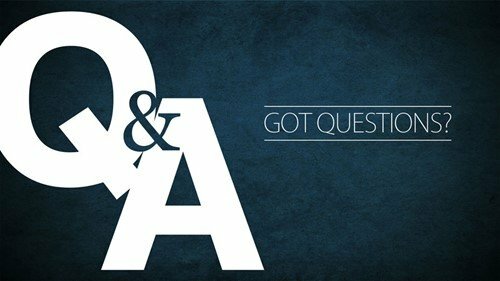 I hope this helps and let me know if you have any other questions I can help you out with.